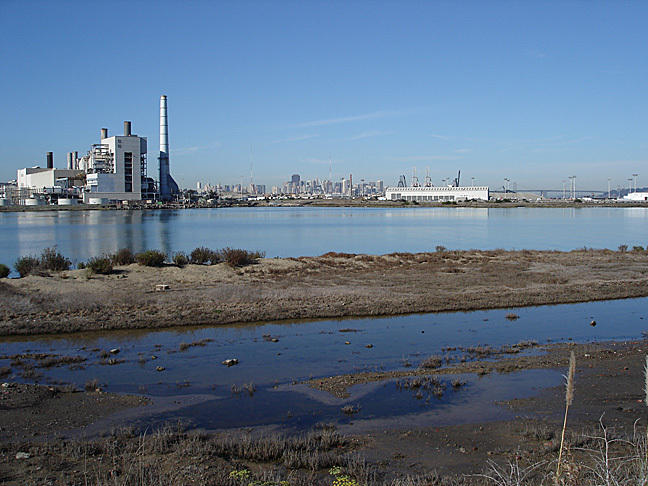 The PG&E Hunter's Point power plant, finally shut down after years of community pressure, on the shoreline in 2007 prior to its deconstruction. 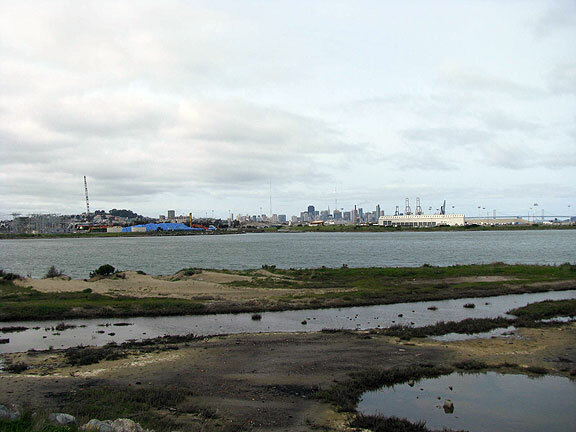 March 2009, after demolition of PG&E power plant, the view across India Basin north towards Herons Head Park and downtown in distance too. 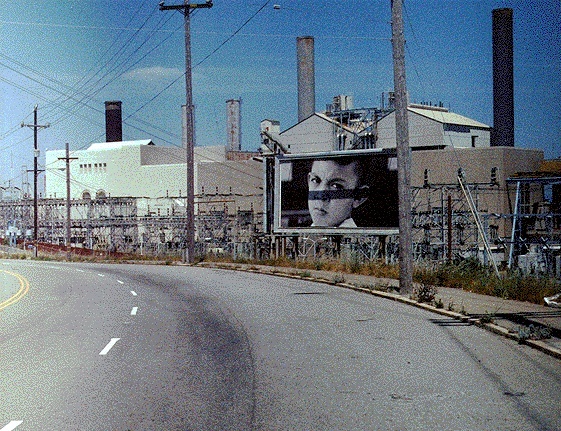 Greenaction and the Huntersview Mothers Committee led the successful fight that closed the PG&E Hunters Point power plant in 2006. 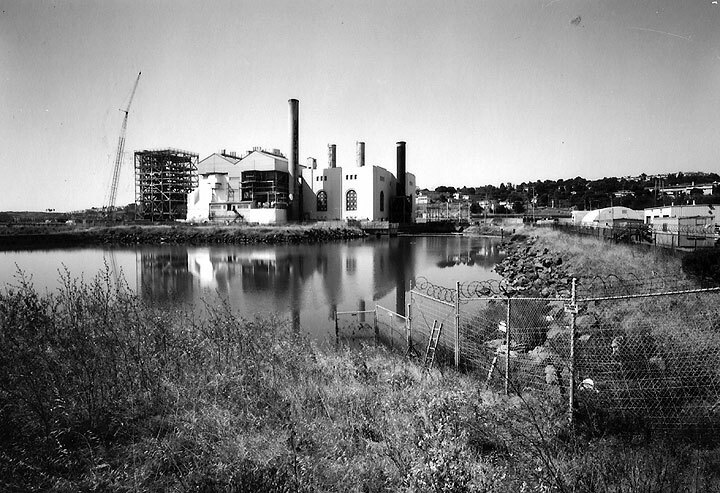 The buildings and infrastructure at the power plant have been demolished, and PG&E and government agencies have been working on the cleanup of contamination at the 38 acre site on the shores of San Francisco Bay. Environmental sampling confirmed that the soil and groundwater are contaminated with many hazardous substances, including a large amount of PCBs, PAHS, THP diesel, arsenic, lead, hexavalent chromium, nickel, cobalt, zinc and asbestos. 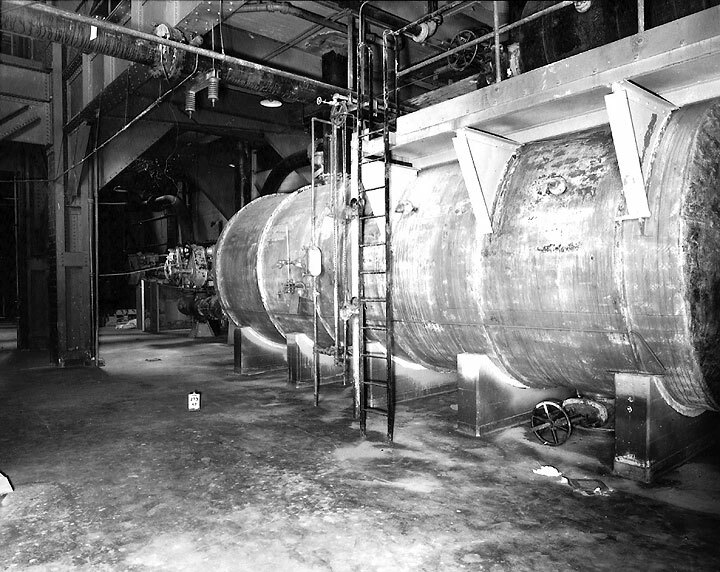 PG&E Hunter's Point power plant in the 1990s. 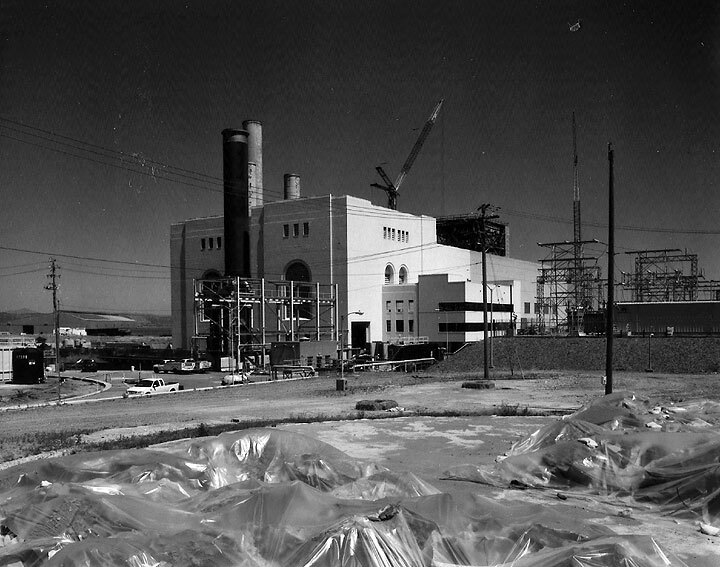 PG&E Hunter's Point power plant as it is being torn down, c. 2009. 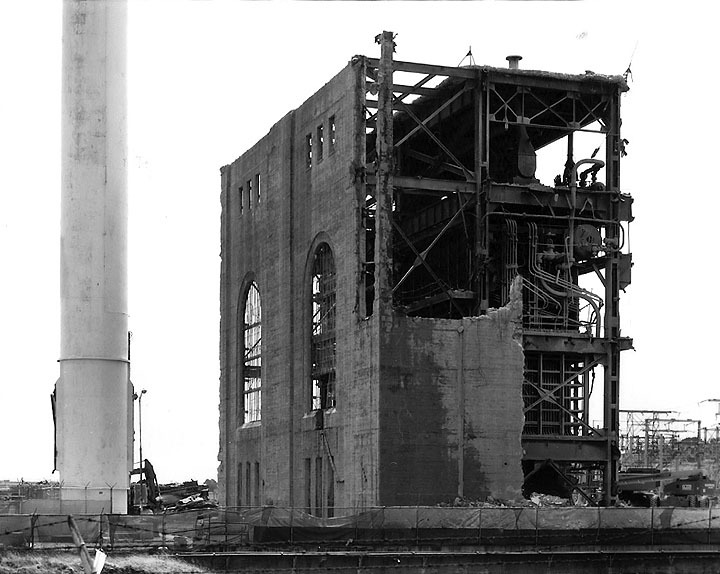 Demolition underway at PG&E Hunter's Point power plant. 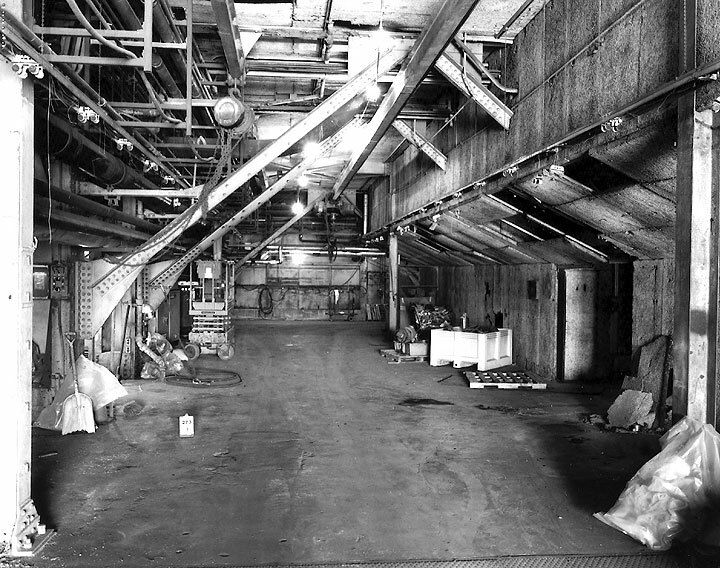 Interior of closed PG&E plant before demolition. 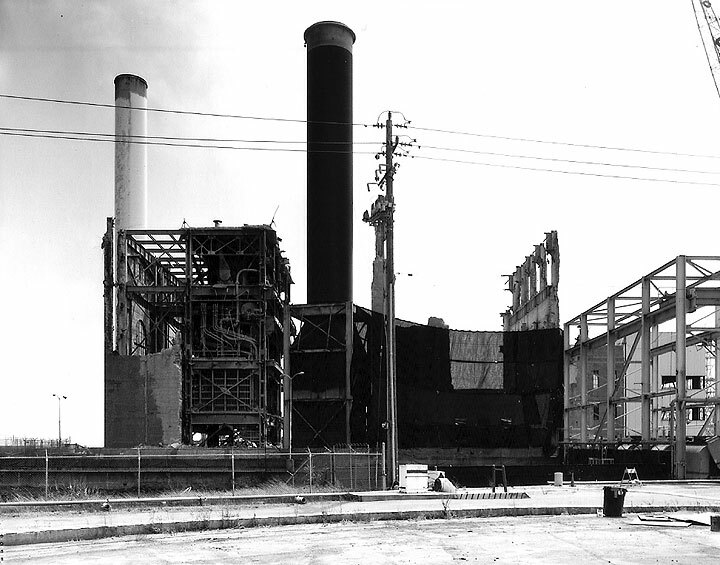 Part of an ongoing deindustrialization of San Francisco, this PG&E plant had been one of the City's biggest air polluters. Neighborhood campaigning forced its closure and demolition.